No no don’t get too serious about the second part of my head line! It is not that true what you think! 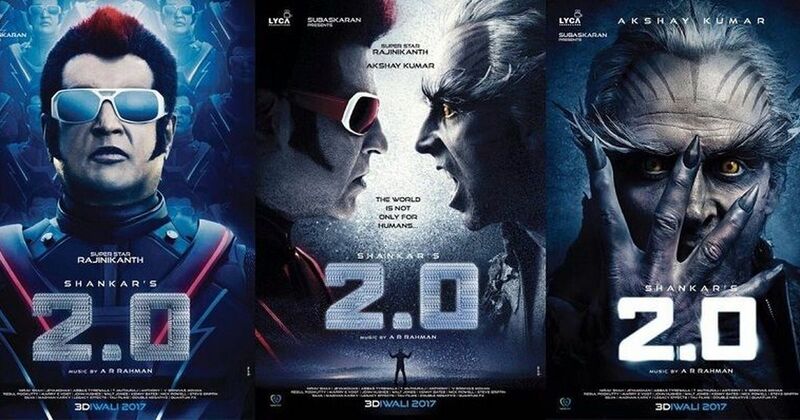 Talking about 2.0, the Rajnikant and Akshay Kumar starrer dynamic flick is still continuing its record breaking spree since it released. The film hit the silver screens on November 26 this year, releasing in over 10,500 screens all over the world. It has broken several records since its release. It has been 24 days since it has been released, and the film has still sustained its income. Though it took a dip in income in the domestic and international market because of the Hollywood movie Aquaman. Yet another milestone has been added to its list. The film has crossed ₹ 700 Crore mark on 17th December as calculated by experts. As calculated, the income figure is said to be around ₹ 710.98 Crores. 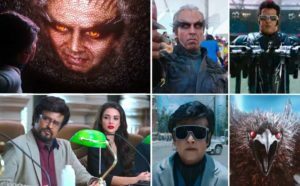 With this, 2.0 has become the first Kollywood film of 2018 to income ₹ 700 crores. And, it has beaten Rajkumar Hirani’s Sanju and Sanjay Leela Bhansali’s Padmavat to become the first Indian movie to cross ₹ 700 Crore mark in the calendar year 2018. The income of Sanju and Padmavat were ₹ 542 Cr and ₹ 560 Cr respectively. According to reports, it is also the first ever Kollywood film to have ₹700 Cr income worldwide. The income reports as calculated till now are – Week 1 – ₹ 526.86 Cr, Week 2: Day 1 – ₹ 27.31 Cr, Day 2 – ₹ 32.57 Cr, Day 3 – ₹ 36.45 Cr, Day 4 – ₹ 39.20 Cr, Day 5 – ₹ 17.13 Cr, Day 6 – ₹ 14.66 Cr, Day 7 – ₹ 16.80cCr, Total – ₹ 710.98 Cr. According to critics, only the Hindi dubbed version of the film has ₹ 222.65 Crores gross on its name. And, it has managed to top the Chennai film market for consecutive three weeks, with the collection from Chennai in the third week being around ₹ 17 crores. 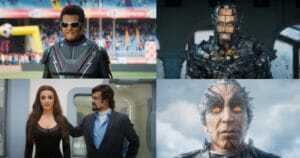 Those who are saying that 2.0 is already the biggest Indian film, I have some facts for them. I accept it is true that it is the biggest 3D Indian film, but when it comes to be biggest in income, it is still behind four other films, two out of which are of Amir Khan. It is still behind Amir Khan’s Dangal which is on No. 1 (₹ 1957 Cr) and Secret Superstar which is on No. 4 (₹ 834 Cr), Salman Khan’s Bajrangi Bhaijan which is on No. 3 with ₹ 873 Cr and Prabhas’ Bahubali: The Conclusion with ₹ 1807 Cr. So, it has a lot of work to do to be the biggest hit of all time. But no one can say that it will be impossible. Because, 2.0 is gearing up for its big China release. According to its makers, the film will get around 56,000 screens in China, thus the income is expected to take a big leap after that. 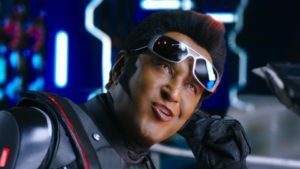 Many of you don’t know that 2.0 had just run into controversy just before three days of its release. The cellular network operators have filed a complaint against the movie for promoting “obscurantist and anti-scientific attitudes against mobile phones, towers and mobile services”. According to Cellular Association of India, the movie was against “public interest,” and that it was “defamatory” of its members and violates their constitutional rights. The complaint was filed on 23rd November to the Central Board of Film Certification and the Ministry of Information and Broadcasting. And coming to the second part of my headline, 2.0 has not crossed Bahubali: The Conclusion in any income means. It is ahead in the number of screens it has been given to release, which is 10,500 globally, where as Bahubali: The Conclusion had 9000 screens on its name. Major Superhero Movies of 2018 That Were Just Amazing in Many Different Aspects!